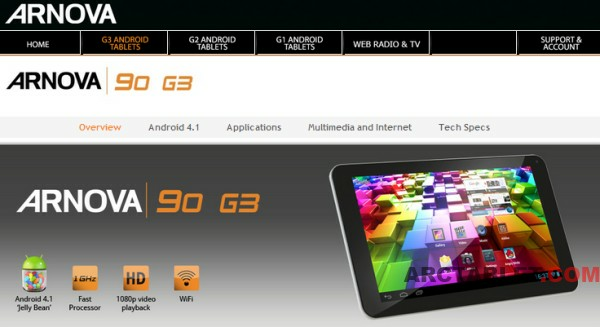 FCC web site brought us a new Arnova 90 G3 tablet on April 1st, there must be something fishy going on 🙂 Not much details are available for product codename SOVAN90G3 on the FCC site, it currently just offers some test reports and the tablet case layout which clearly shows a 16/9 screen ratio. 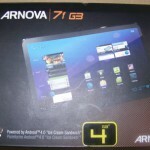 While the tablet hasn’t been announced by Arnova, a quick search on the web shows that the Arnova 90 G3 is actually available for sale on a few sites in Spain and France, that’s a great occasion to get more details about the specs. 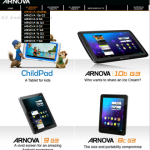 Update 2013/04/03: Arnova has just updated their website with the 90 G3 pages. French retail store Auchan.fr actually has the product in stock for €99. 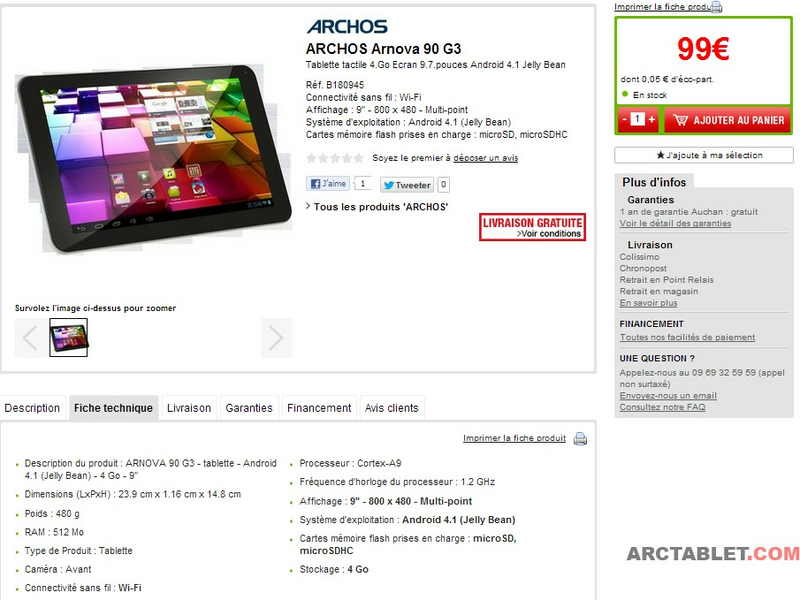 We at arctablet.com have quite some experience in building custom firmwares for Archos and Arnova tablets and we should be able to provide a firmware with root and Google Play Store installation for the Arnova 90 G3. 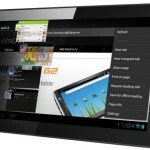 Still, it’s another tablet we would need to buy and we are asking for support from users interested in such a firmware. Feel free to use the donation link below to help us buying an Arnova 90 G3 so we’ll soon be able to prepare a custom firmware. If our web site and applications helped you, thanks for supporting us by donating using the Paypal form below or visiting our Donations page. Donations will be used to pay the bills for our server hosting costs, tools and purchase new tablets to support. We’ll be definitely looking for more details on that product, Arnova 90 G3 owners feel free to contact us, we are very interested in some pictures of the tablet and feedback on this product.